Speaking ahead of his appearance in the Rolex 24 endurance race at Daytona Speedway, Johnson confirmed to Florida radio station WYGM-AM 740 The Game that he hopes the band will be in the studio before summer. Johnson later reaffirmed his earlier comments in an interview with Cowhead Radio, revealing that health issues were affecting one of the band members – but he was confident of a full recovery and that the boys would be back together soon and working on new material. 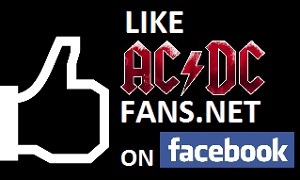 Listen to the Cowhead Radio interview below and be sure to drop by the AC/DC forum to discuss this and other AC/DC news with fellow fans. Nice Name For a album i wonder how many songs? This is great news. DIRTY SKIRTY should be the opener.